The DC Department of Housing and Community Development (DHCD) will host a Public Hearing on the Final Draft copy Consolidated Plan Annual Action Plan for FY 15. 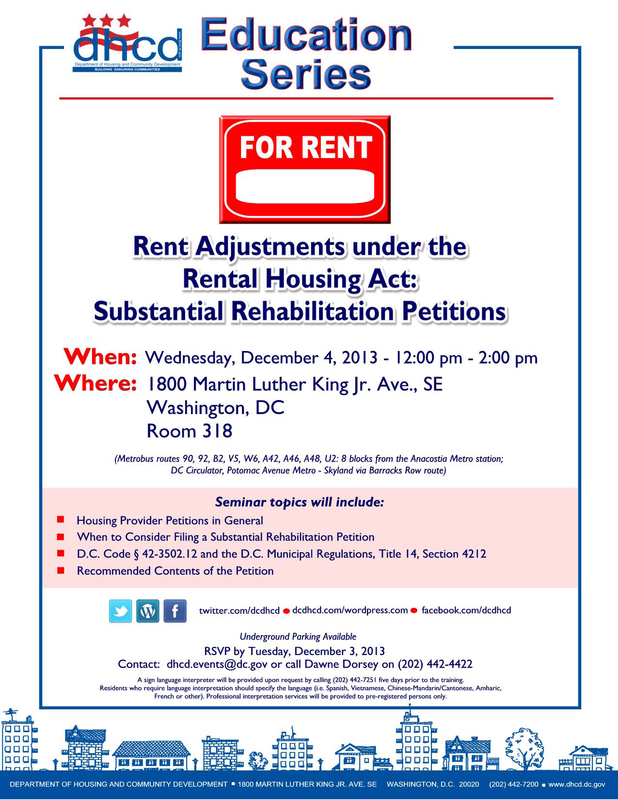 The hearing will be held on Wednesday, July 9, 2014 at 6:30 pm at DHCD’s headquarters, 1800 Martin Luther King Jr. Avenue, SE, Housing Resource Center. The hearing will help form a basis for developing the District’s draft “Fiscal Year 2015 Annual Action Plan” and the spending priorities utilizing federal entitlement funds. DHCD, the Department of Human Services and the Department of Health will each provide input into the plan. 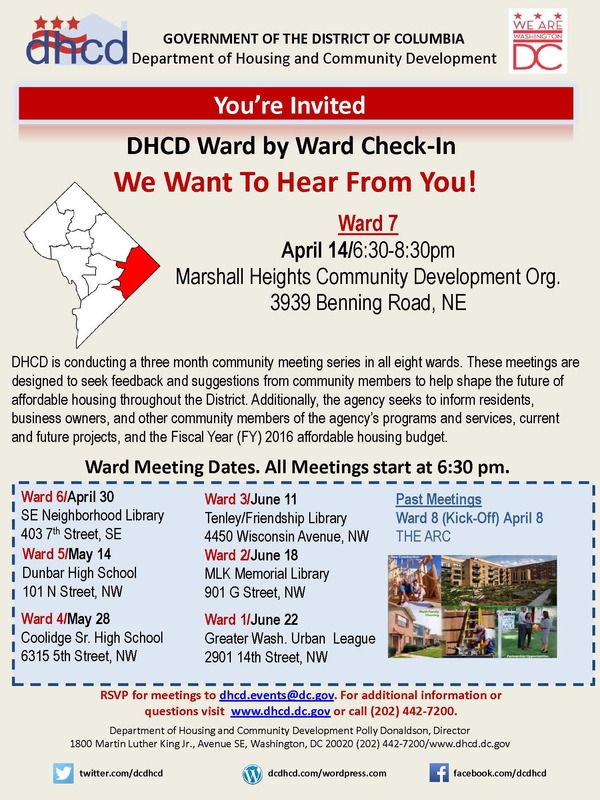 District of Columbia residents who would like to present oral testimony are encouraged to register in advance either by e-mail at DHCD.EVENTS@dc.gov or by calling 202.442-7145. The DC Department of Housing and Community Development is hosting its Fifth AnnualHousing Expo, at the Washington Convention Center on Saturday, June 1st, from 10 am to 3:00 pm. Door prizes, give-aways and much more! Free and open to the public. Something for everyone: Renters, Homeowners, Landlords, Potential Homeowners!